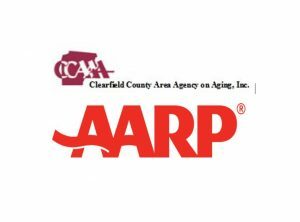 COALPORT – The Coalport Center for Active Living, in partnership with the American Association of Retired Persons (AARP), is offering area individuals aged 55 and older the opportunity to take the AARP Driver Safety Course/AARP Driver Refresher Course. The classroom courses were developed by AARP to help drivers remain safe on today’s roads while providing the bonus of a three-year discount on the course graduates’ car insurance. All automobile insurance companies conducting businesses in Pennsylvania are required to provide a premium discount to graduates of the Driver Safety Program who are 55 years of age and older. Couples, who both have a driver’s license, are each required to be certified in the program in order to be eligible for the discount. The original, eight-hour class will be given at the Coalport Center for Active Living, Glendale Medical Complex, 850 Rear Main St., Coalport in two sessions: Monday and Tuesday, March 18 and 19, 2019, from 9:30 a.m. until 1:30 p.m. The Refresher Course is offered at the Coalport Center for Active Living, Glendale Medical Complex, 850 R. Main St., in Coalport on Wednesday, March 20. The class runs from 9:30 a.m. until 1:30 p.m. The Refresher Course is open to individuals who have previously taken the original eight-hour course and or the refresher course within the past three years. The classes are open to all drivers over 55, with the cost for non-AARP members at $20, while AARP members pay a discounted price of $15. Checks are to be made payable to AARP and must be given to the instructor on the first day of class. Class size is limited and the required registration is taken on a first-come, first-serve basis, so early sign-up is suggested. You may register by contacting the Coalport Center for Active Living at 814-672-3574. Information on this and other programs, meals and activities is available by calling the Coalport Center at 814-672-3574 or by visiting the CCAAA Web site at www.ccaaa.net. Programs and services of the agency are funded in part by the Pennsylvania Department of Aging, the Clearfield County Area Agency on Aging Inc, Mature Resources Foundation and local and consumer contributions.